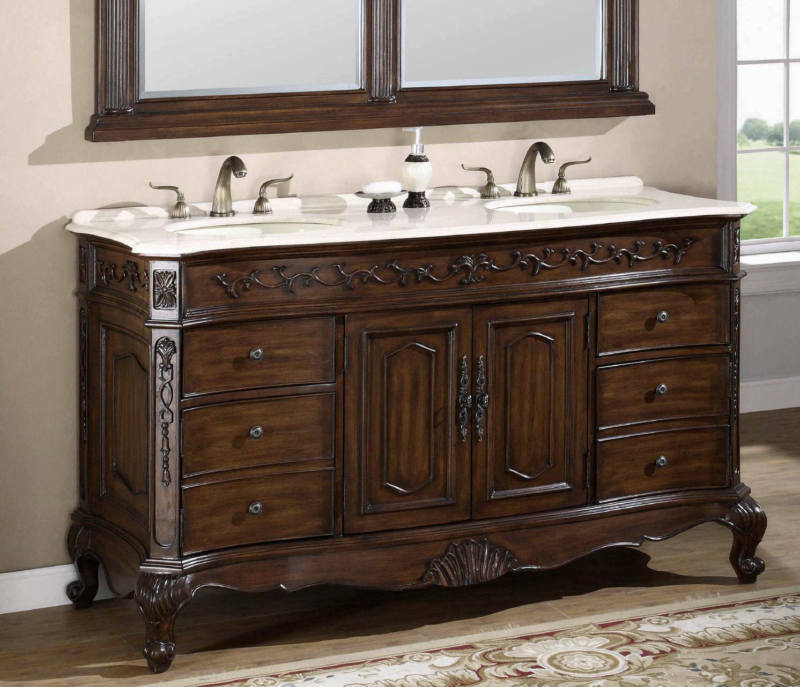 Quality workmanship and great value on this 61 1/2" Wide bathroom furniture high end stone top sink cabinet with Cream Marble Stone countertop and under mount ceramic White sinks. 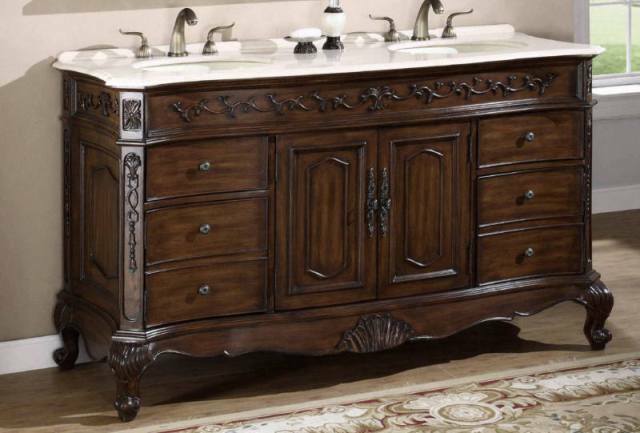 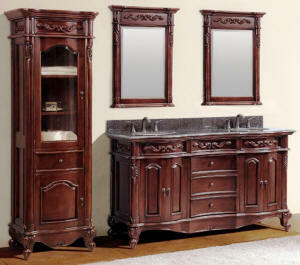 The Queen Anne style furniture legs gives your bathroom that perfect upscale furniture finishing touch. 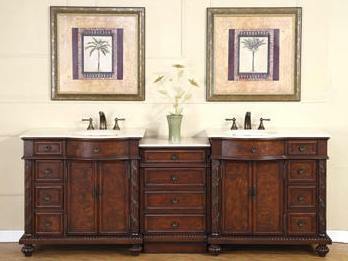 Lots of bathroom storage space. 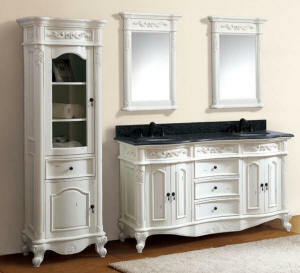 In addition to the two door storage compartment with shelve in the middle of this gorgeous antique bathroom vanity with two (2) top drawers which are felted, there are also Bottom two doors on each side that look like drawers but instead open as doors for more organized bath storage. 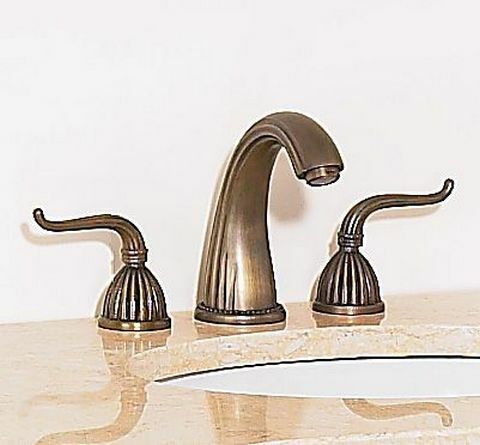 Top is predrilled for 8" widespread Fixed Mount (3 holes) faucets. 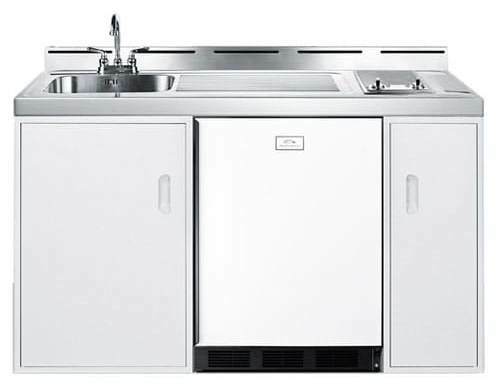 Large cutout in the back allows for easy access to plumbing. 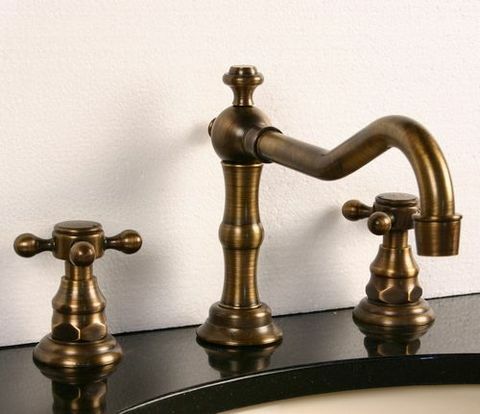 Antique Bronze door hardware is included. 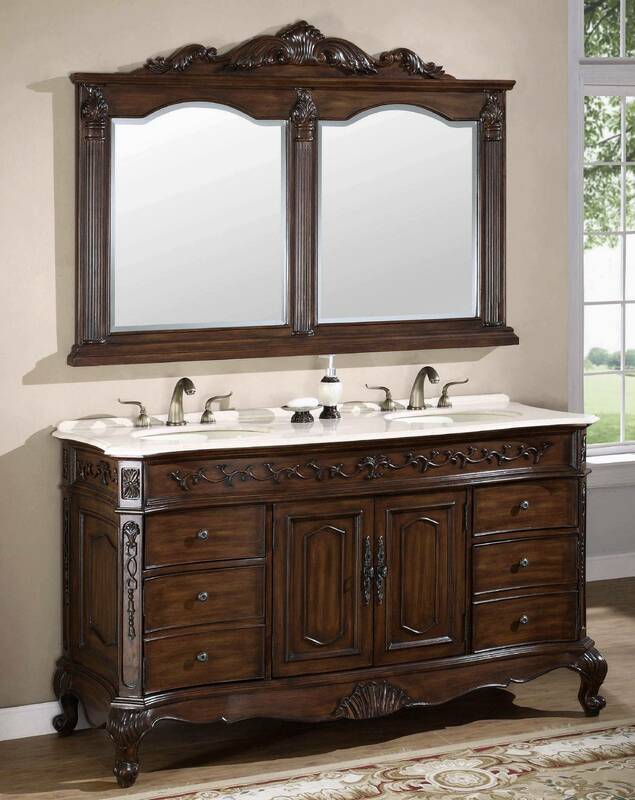 Overall Vanity Dimensions W=61 1/2" D=22.5" H=37"
Overall Vanity Mirror Dimensions W=58" D=2 1/4" H=41"
Generally in stock. 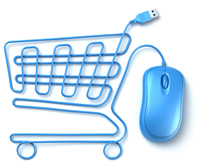 Ships in 1-3 days!